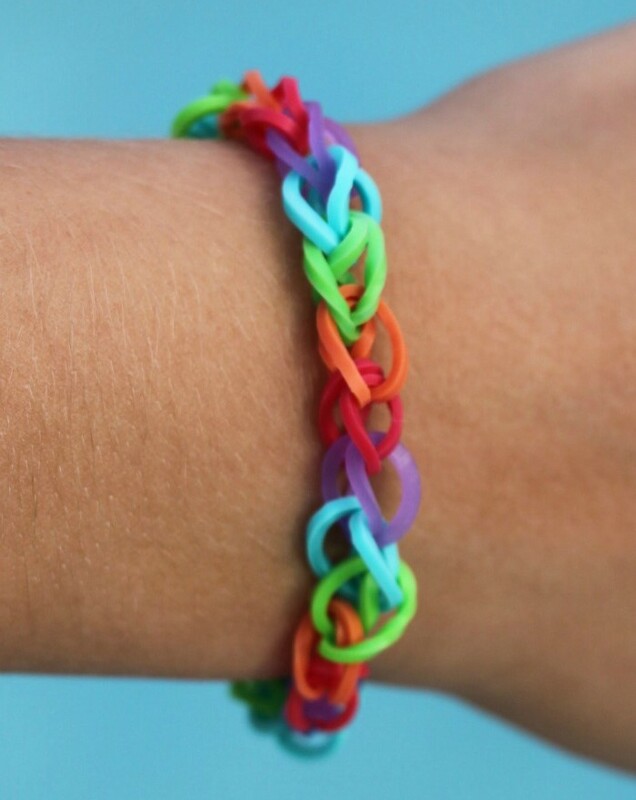 Rainbow Loom bracelet is a fun colorful band which is quite popular among girls, boys and even adults around the world. 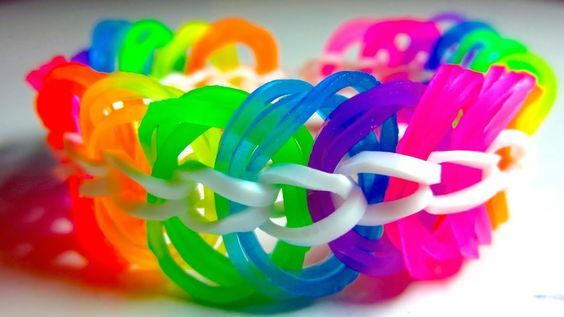 The technique uses a plastic tool to weave colorful plastic and rubber bands into decorative accessory such as bracelets. 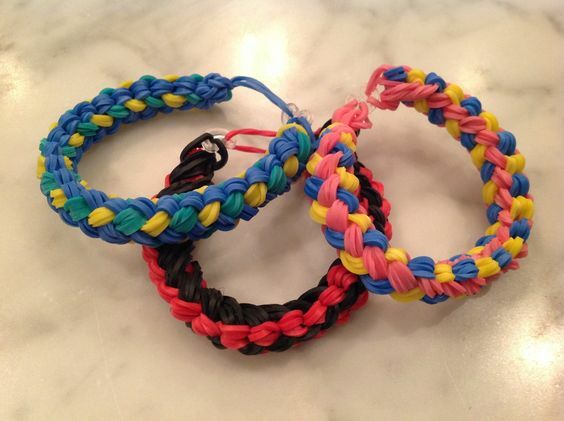 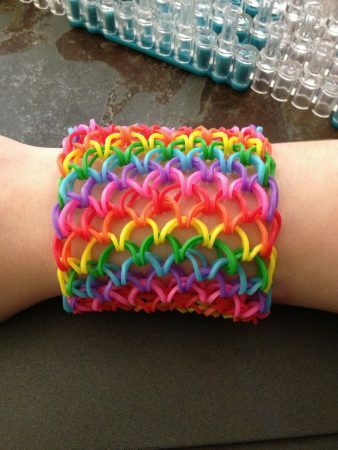 You get the rainbow loom bracelet kits in craft stores and is a great craft for kids. 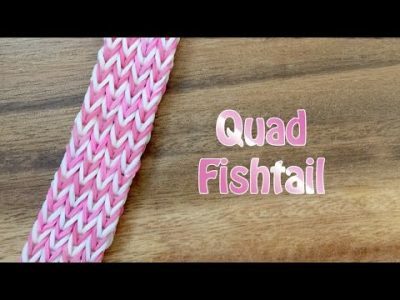 You can weave various patterns from simple braided one, fishtail designs, ladder rainbow loom and more into wonderful accessories and wrist bands. 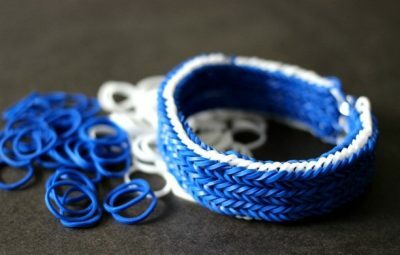 These amazing handmade bracelets are cheap (doesn’t cost a dime), easy to make and make wonderful gifts to friends and family. 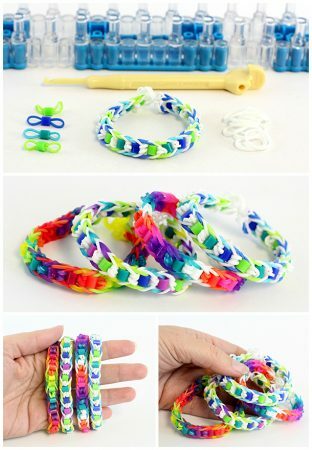 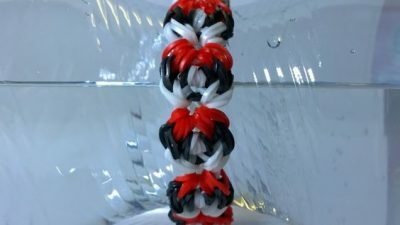 We have compiled some of the best tutorials to guide you to make your own unique rainbow loom bracelets. 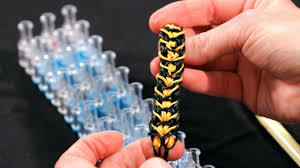 This is a very intricate tiger striped design which will enhance the look of the bracelet. The linked video tutorial helps you with step-by-step instructions to make one yourself. 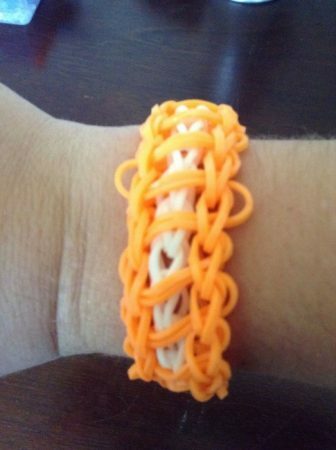 If you are deeply immersed in the loom band bracelet craze then try making this butterfly effect. 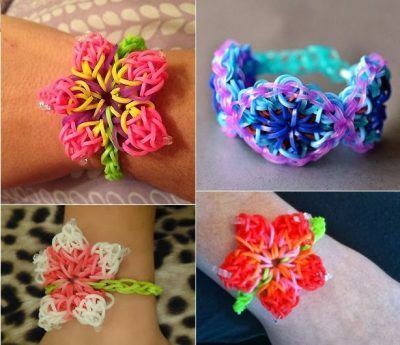 It will look pretty on your little girl’s wrist. 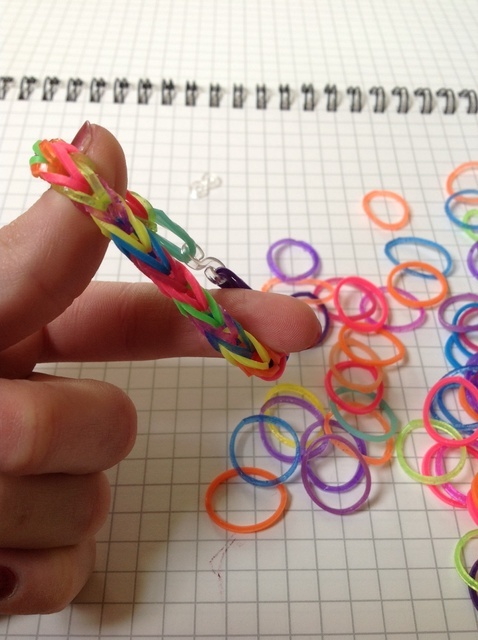 The fishtail braid is one of the most popular techniques used to make a loom bracelet. Use funky rubber band colors to create this clean band in less than 10 minutes. 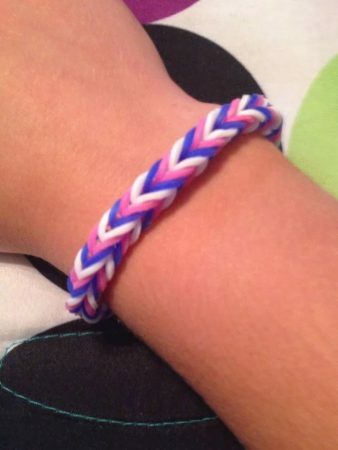 They make great friendship bands. 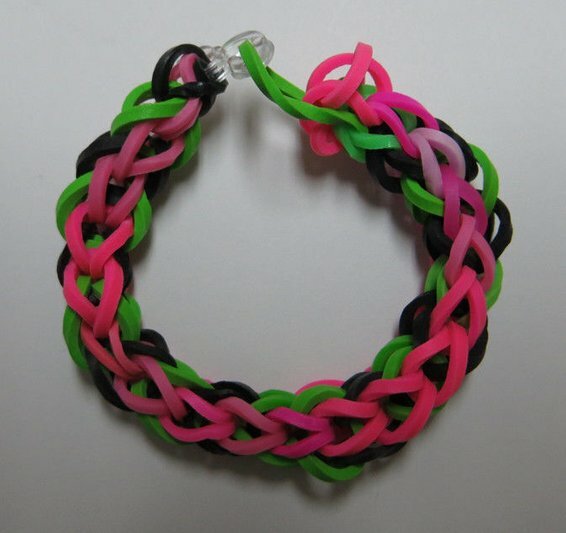 The ladder effect is one of the top designs for a loom bracelet. 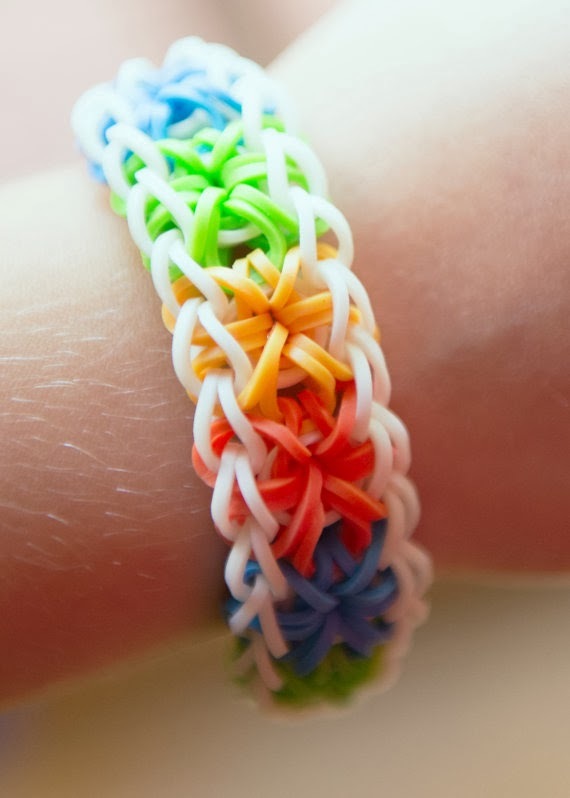 An intricate pattern and a unique one too. 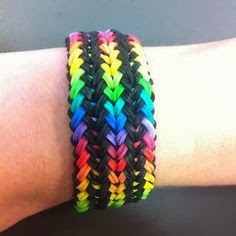 You can use your fingers to create this if you don’t have looms at your disposal. This is one of my favorite patterns for rainbow loom bands. 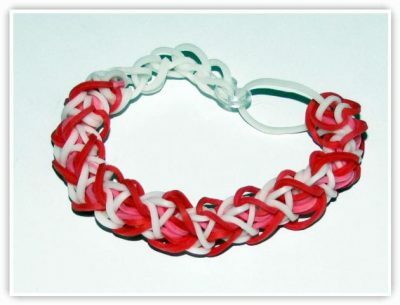 The starburst gives you bracelet a thick and vibrant look and is a great addition to your handmade accessory collection. Get crafty with this cute rainbow bracelet made with colorful rubber bands with the help of a C clip. 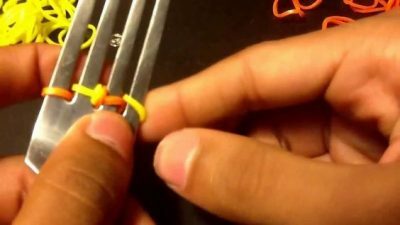 If you don’t have a loom and still wish to weave a great wrist band, then tutorial will guide you with the step-by-step instructions. This pattern is identical to the fishtail pattern, they have just doubled it up. The use of colored bands in the middle of white/black looks stunning. 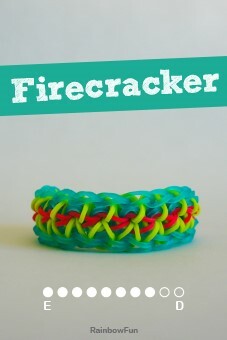 You can experiment and try different combinations of your own. The blue and white bands look so classy weaved into this thick rainbow loom bracelet. 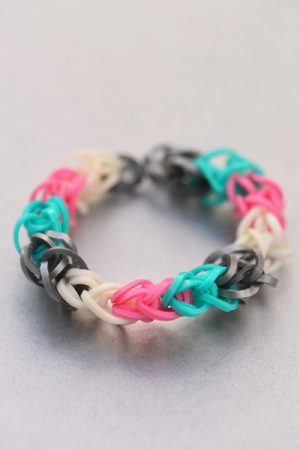 This triple fishtail braid design is great for boys who want to sport a funky look on their wrists. 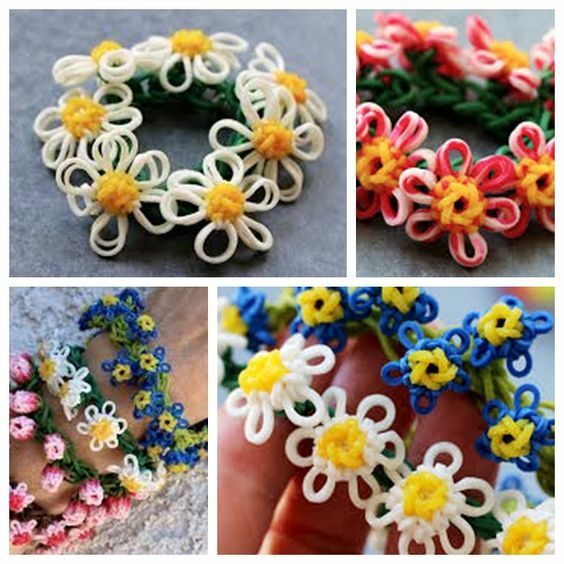 These gorgeous daisies will make a pretty bracelet for young girls. 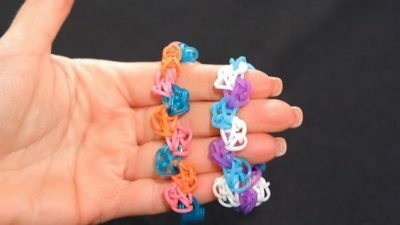 With the intricate design and amazing choice of colors, you can easily make an addition to your accessorize collection with these handmade loom bracelets. 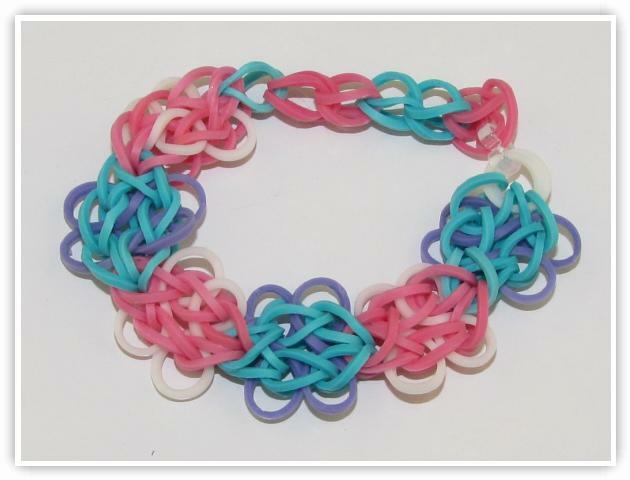 This video tutorial shows you how to make a triple link chain bracelet using two pencils. 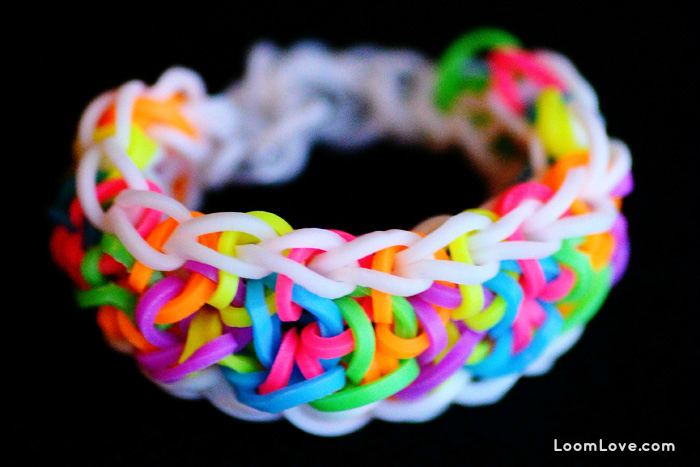 You can also use a mini loom to do this because it works the same. 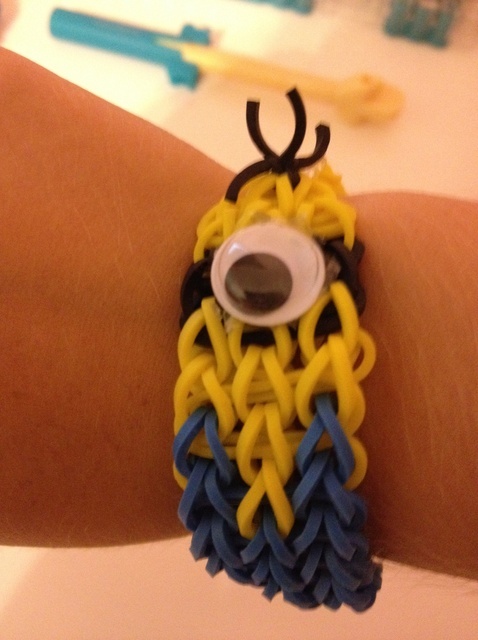 This famous Minion bracelet is a cute idea for kids who love this cartoon character. 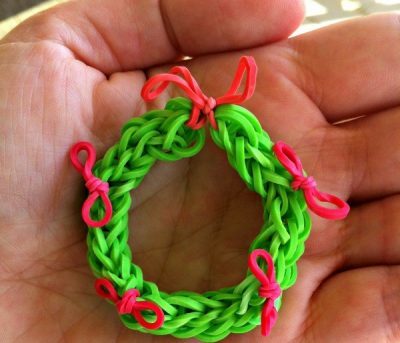 Add googly eyes to this bracelet and give it life. 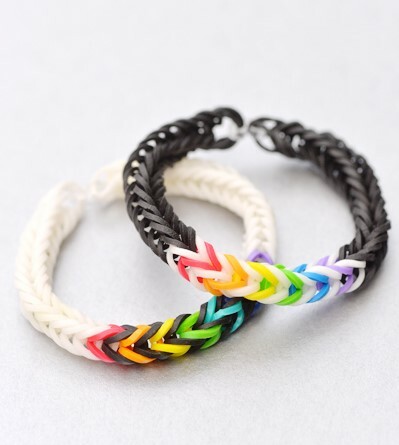 If you are looking for a funky and chic rainbow bracelet for your friends, then try adding some charms or embellishments to decorate it further. 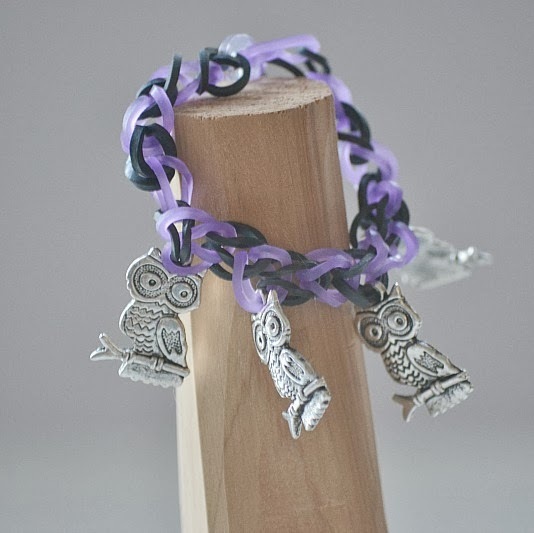 The owl charms look amazing in the bracelet. 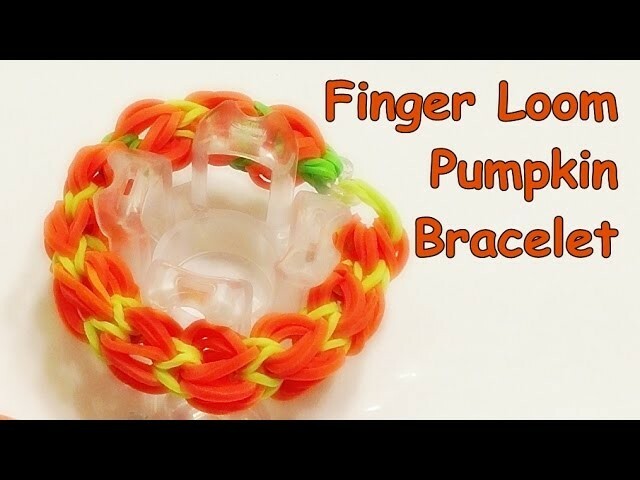 Follow the instructions in the video tutorial to create this pattern in no time. The Perler beads added to the loom bracelet gives it a unique look. 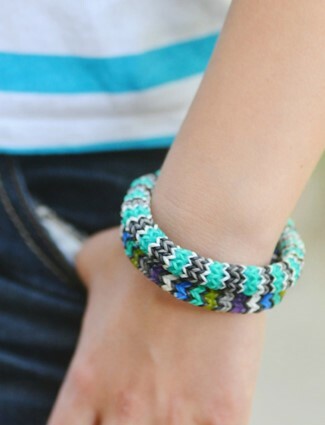 You can try and personalize it for your friends with the letter beads (adding monogram) making it stylish. A great bracelet idea for the 4th of July or Patriotic day. 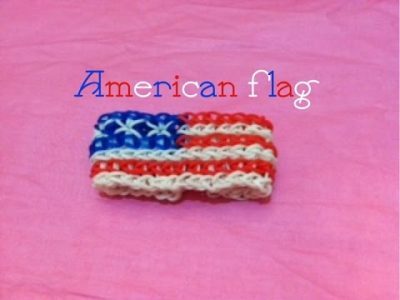 Kids and even grown-ups will love to wear this and flash their love for their country! This tutorial uses bright neon bands to make this bracelet using the sailor knot technique. 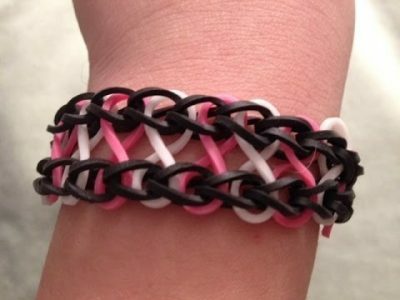 A great design for young girls and boys.